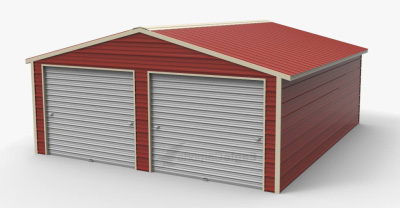 Metal buildings such as a detached garage are not typically assembled with insulation. In certain regions, insulation is not a requirement, and depending on what is stored in the metal building, may be an unnecessary step. However, in most regions, insulating your metal building is beneficial to protecting what is stored inside, as well as providing comfort to you while you are inside. If you live in a high humidity area, insulating the roof will prevent moisture from accumulating on the underside of the roof, preventing your belongings from becoming damp. It should be noted that metal buildings are naturally fire resistant, adding insulation changes that, so if you use your metal building to hold flammable or combustible items, additional care should be taken. If you do need a fire retardant structure, it is a good idea to install a radiant barrier insulation at the time of building construction. If you are adding insulation to an already existing metal building, it is recommended to use foam insulation. Radiant barrier insulation should be installed in conjunction with constructing the structure. The radiant barrier insulation should installed on the exterior panels between the panels and the support beams. The first step is to construct the building’s frame. Place double-sided tape to the frame studs vertically starting at the top going all the way to the foundation. Next, attach the insulation roll to the tape. Tape the seams together on the white side, or the “scrim” of the rolled insulation. The final step is to place the wall panels and screw through all the layers into the frame. If you don’t use radiant barrier insulation, chances are, you’ll be using spray foam. The benefit of foam insulation over fiberglass insulation is that it does not collect or hold moisture the way fiberglass does. 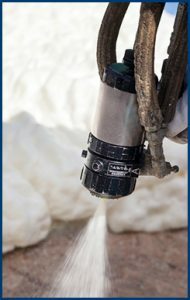 Spray foam insulation is also great in colder climates because it not only traps heat but also seals the metal building from drafts as well as insects. Spray foam is relatively easy to install. Use a pressurized device to distribute the foam insulation evenly. Be sure to avoid accidental spills because once the foam hardens, it is very difficult to remove. Focus on the areas between the frame studs and ensure it is completely covered. Then you wait for the foam to dry and hang your internal wall sheeting. 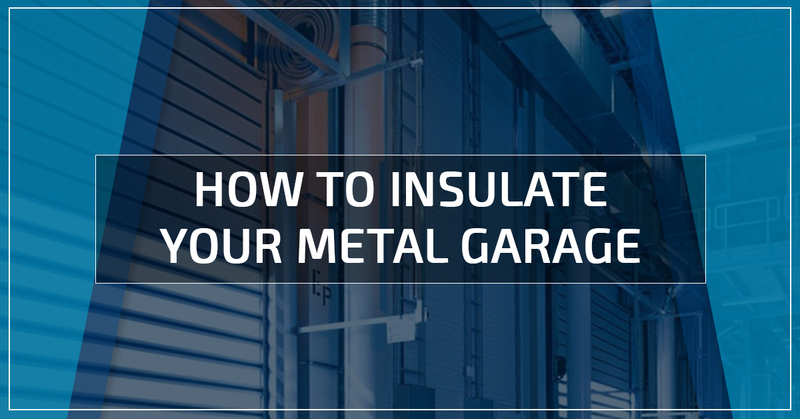 It should be noted that using fiberglass sheet insulation is not recommended for your metal garage for several reasons, mainly moisture issues and the spacing of studs. Rolled fiberglass generally comes in 15 to 24 inch wide rolls, which works well for residential housing wood framing studs. However, on metal garage frames, the studs are four to five foot apart. This additional distance means you would be relying on tape to hold the insulation in place, which will cause peeling and leave gaps in your insulation. Fiberglass is notorious for collecting and holding moisture, which means mold can grow. If you choose to use fiberglass rolls, the installation process is the same as radiant barrier insulation process. If you have an existing metal building or detached garage or if you are having one built, it may be worth it to add insulation to it. 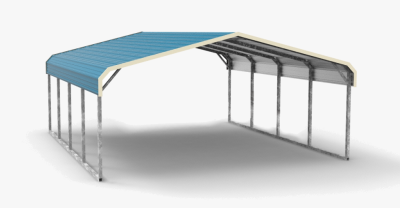 Any metal building purchased at Wholesale Direct Carports of Illinois has the option to be insulated. If you purchase from us, we take care of installing the insulation when we construct your building, which is free of charge (as is delivery)! 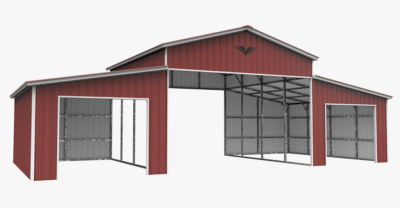 Contact our metal building specialists today for your obligation-free metal building and insulation estimate.